Welcome to the High School! Welcome to the High School! We are delighted that you are joining our vibrant, engaged, diverse, and spirited community. For almost a century, Graded High School students have forged a reputation for their strong sense of community, commitment to service, academic prowess, sporting and artistic talent, and desire to lead. Graded provides students with opportunities to grow and develop their unique abilities via a rigorous academic program stewarded by experienced and passionate educators. Most students earn three diplomas - American, Brazilian, and International Baccalaureate - while balancing a rich program of co-curriculars. This is the Graded experience. High School at Graded is a busy place and on any given day, you will hear musicians rehearsing for performances, watch artists immersed in a wide variety of studio projects, and, in our world-class sporting facilities, see Graded Eagles training for local, regional, and international sporting events. Community service and engagement are pillars of the Graded experience and throughout the school week and on weekends, students and staff work in and with our local community as they transform the lives of others. 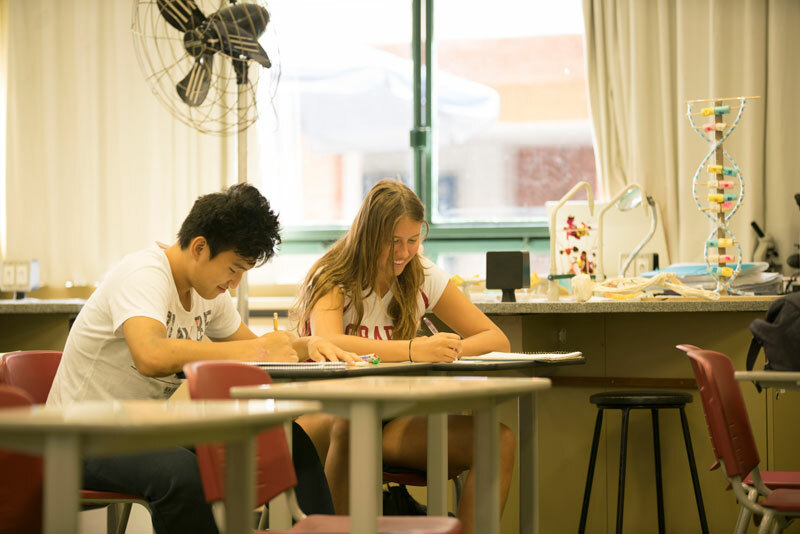 Graded has a well-established community service program that serves not only our local suburb of Morumbi but also greater São Paulo and sometimes even other parts of Brazil. From participating in and hosting international festivals, sporting events, and conferences on our campus to serving others through service, Graded students constantly strive to become caring, passionate, skilled, ethical, and engaged citizens. Graded is proud of the achievements of all its graduates, many of whom go on to further study at some of the world’s best colleges and universities. Students who attend Graded leave equipped to succeed and possessing a desire to excel, a passion for impacting the world for good, and a willingness to take on leadership in an ever-changing and complex world. “The best years of my life” is how alumni have often described their years at Graded. As you explore our school online we hope it draws you into the Graded experience. We look forward to welcoming you!